Errandonnee #3-7 – Lindsey Bikes! Multiple errandonnee in one trip is the best. 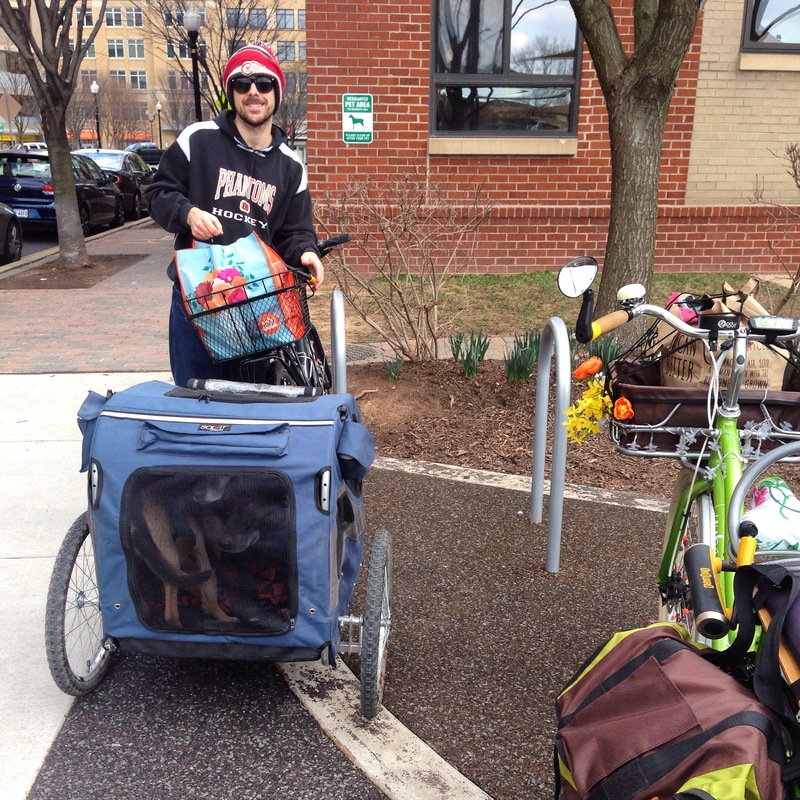 It’s bike utility & transportation at its very finest. That’s the after shot with the bikes loaded down with groceries that Mike picked up while I frolicked with the pups at the park. Unfortunately he blew 2 spokes today making his “you carried WHAT” entry unpleasantly excited. We think the dog trailer pulling yesterday contributed.